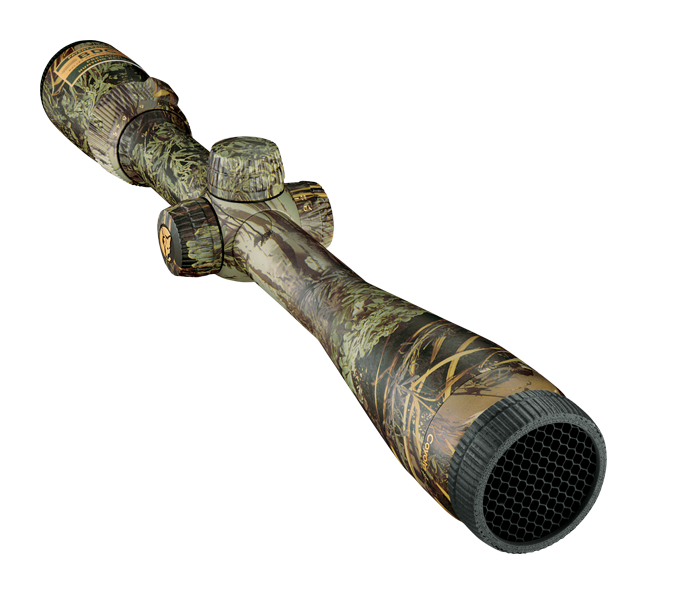 Nikon’s patent pending BDC Predator Hunting reticle: Utilizes ballistic circles with carefully researched spacing that is designed around the needs of predator hunters. Unique, open circle design doesn’t obscure target, making shots on a moving coyote simple. ARD (Anti Reflective Device) technology: Eliminates game spooking glare. Nikon multicoated lenses: Provide up to 92% light transmission and maximum brightness from dawn to dusk. Bill Jordan’s Advantage MAX-1 HD® camouflage: This highly effective open-terrain pattern offers true performance in a variety of open settings across the country. Now you can become “1” with the landscape! Precise hand-turn 1/4 –MOA click adjustments: Easy-to-use positive click reticle adjustments get you zeroed in quicker and maintain your setting—even with heavy recoil. Generous eye relief: For easy sighting in difficult shooting positions.